A Mission of Mercy is the overall theme of several missions sites situated across Lima, Peru. Castillo Fuerte “Mighty Fortress” missions of mercy began to improve the quality of life for children, adolescents, and families of La Victoria, Chorrillos, and San Juan de Lurigancho. Tutoring is offered to improve reading, math and science. Daily Bible studies and catechism classes are provided by the LCMS staff. In June of 2016, an English Camp was offered at the main house in San Borjas. Future opportunities exist to participate in short term mission trips. For more information visit www.mostministries.org. 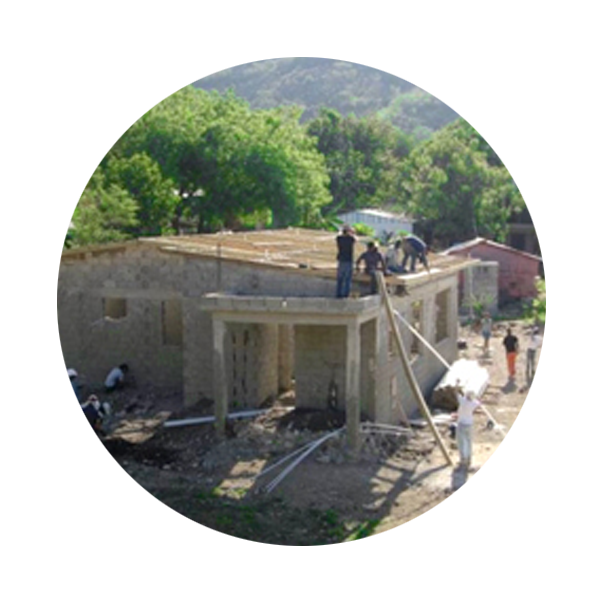 Redeemer has partnered with a Lutheran school at Mwadui and 2014 was able to provide funds to put a roof on the school's fellowship hall, which is used for worship, classes, and meals. Visiting teams from Redeemer had the opportunity to baptize 500+ people, and in 2015 a gift of eight cows were given to the school to help them start a dairy herd. The Dominican Republic Mission is an amazing example of God's work and the power of multiple organizations partnering together, focused on a common goal of establishing a Lutheran church body in the Dominican Republic (DR). The Dominican Republic (DR) serves as the regional hub for all the LCMS missionaries throughout Latin America. There are now several worship sites in the Dominican, a Concordia Lutheran School (K - 7), a preschool, and a new seminary. Redeemer members contribute by supporting individual children, and participating in health clinic and construction trips.